Plant Watering System automatically waters house plants. It can be used when the owner is out of town, or used for long-term watering. Just fill it up and it lasts for 2 ?/span> 3 months! 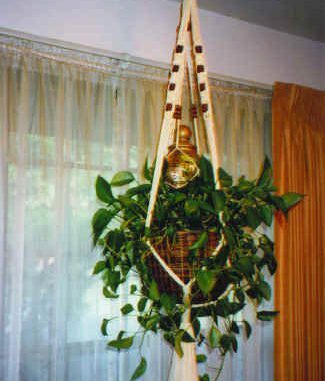 Why climb the ladder every week to water your plants? The Plant Maid ?/span> Plant Watering System does it for you! What makes it unique is that its valve (which you can adjust or leave it fixed) regulates how much water flows into the plants. Instead of watering your plants yourself, the Plant Maid ?/span> Plant Watering System waters them for you on a regular basis.